Time for some serious pruning of the Autumn Clematis! | Arthur in the Garden. Time for some serious pruning of the Autumn Clematis! Autumn Clematis is a vine with a bipolar personality. 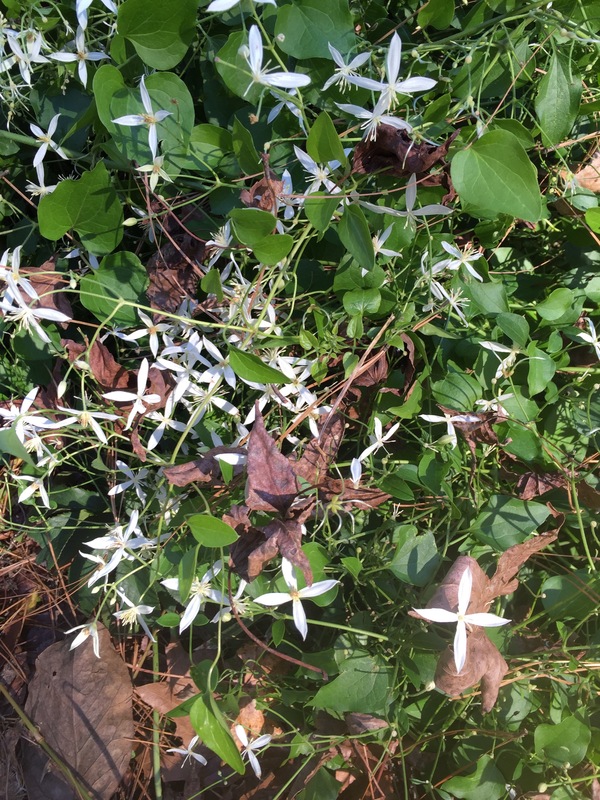 In the Fall it is smothered in small, star-shaped fragrant flowers but during the growing season it can quickly overtake nearby structures or plants. 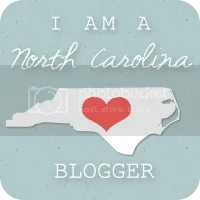 It begins blooming near the end of August here in Raleigh and is covered in very fragrant flowers until the end of October with flushes until Christmas. It than is covered in fluffy seeds. 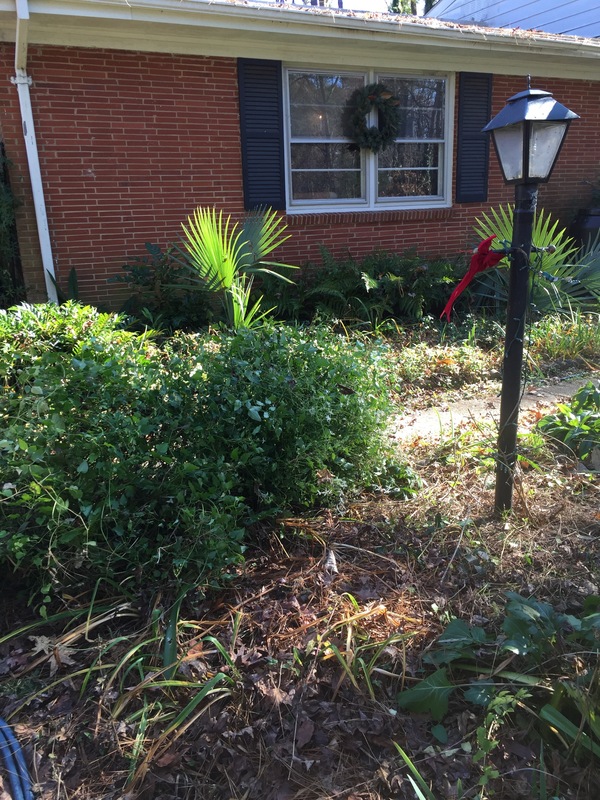 I keep them under control by giving them a hard pruning between Thanksgiving and Christmas. This helps to remove the fluffy seeds which can be weedy volunteers throughout the garden. I prune the vines on the light poles and the mailbox are pruned to leaders of about three feet. These leaders grow about two or three feet during the Winter and are ready for the growing season in April when they may grow grow up to ten feet by the Fall blooming season. The heavy vines are huge now and are a tangled mess. Below is one of the lights with the removed growth from just one season to the left! The light is five feet tall. The hellebores have begun their growth cycle, too! 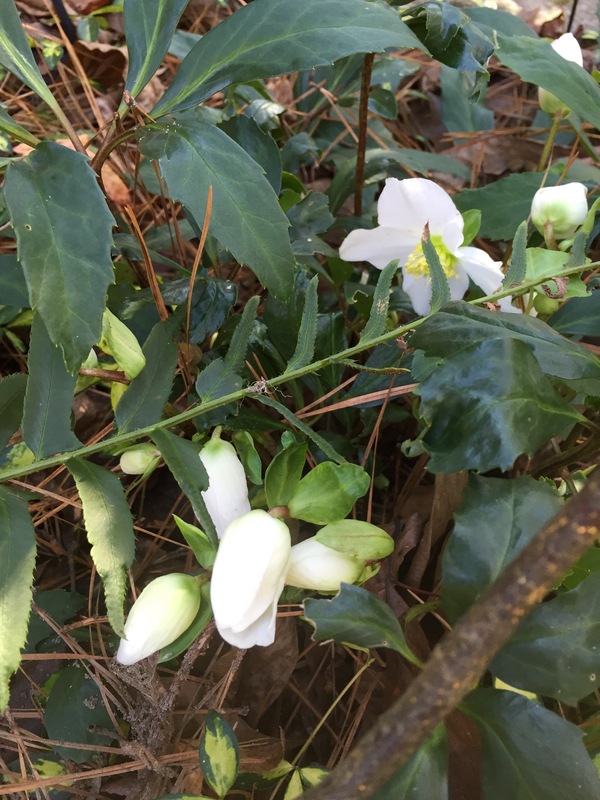 Josep Lemper blooms early with crisp, white flowers and dark foliage. Others are just begining to grow. The old farm, Oakview, which is near my home is decorated, too! 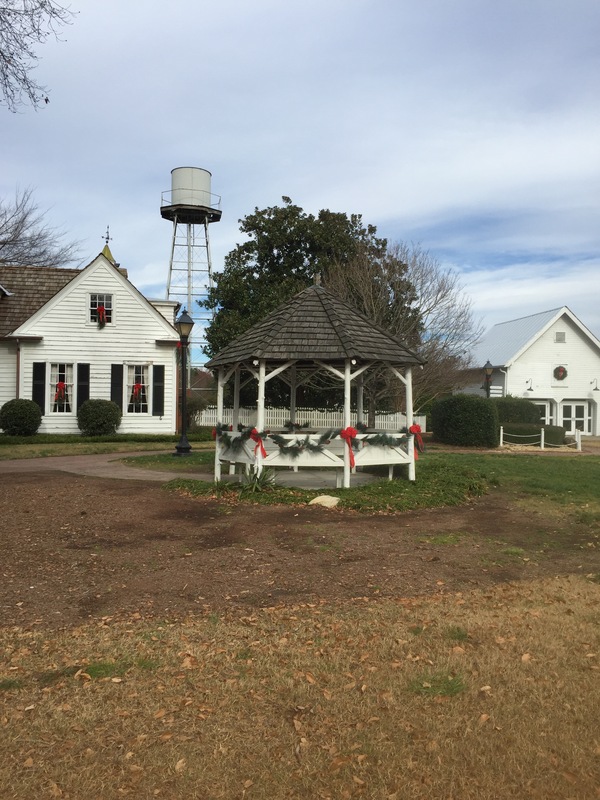 When the State purchased the farm to build the beltline around Raleigh in the 1980s the county purchased the portion with the house, barns, and pecan groves for a history park to demonstrate the history of a cotton farm. 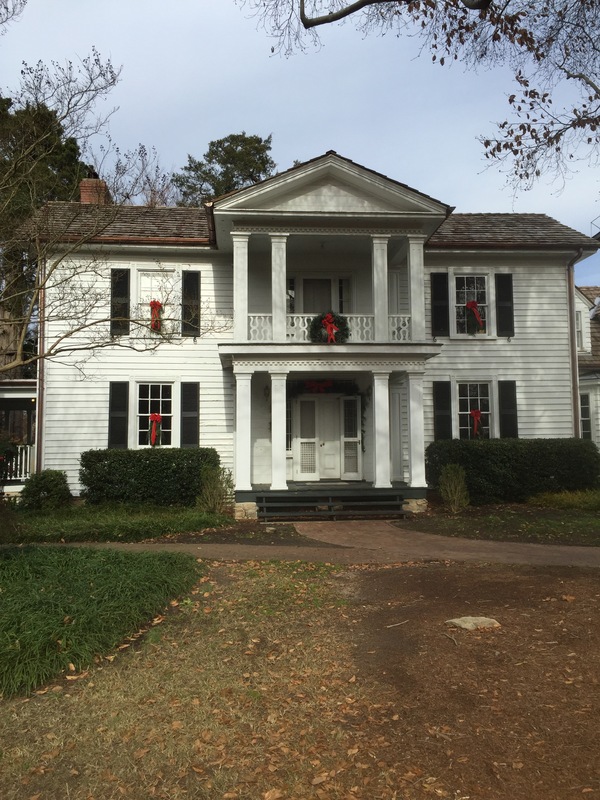 The main house. 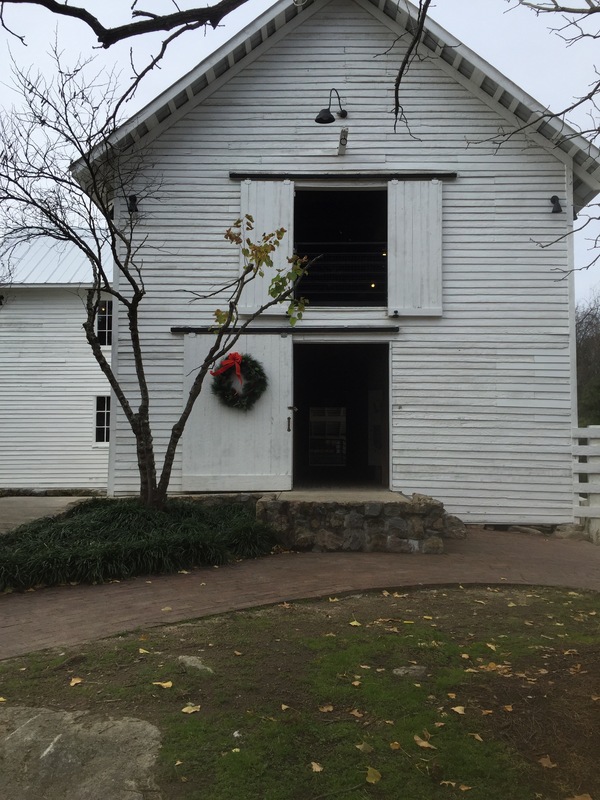 The cotton barn. 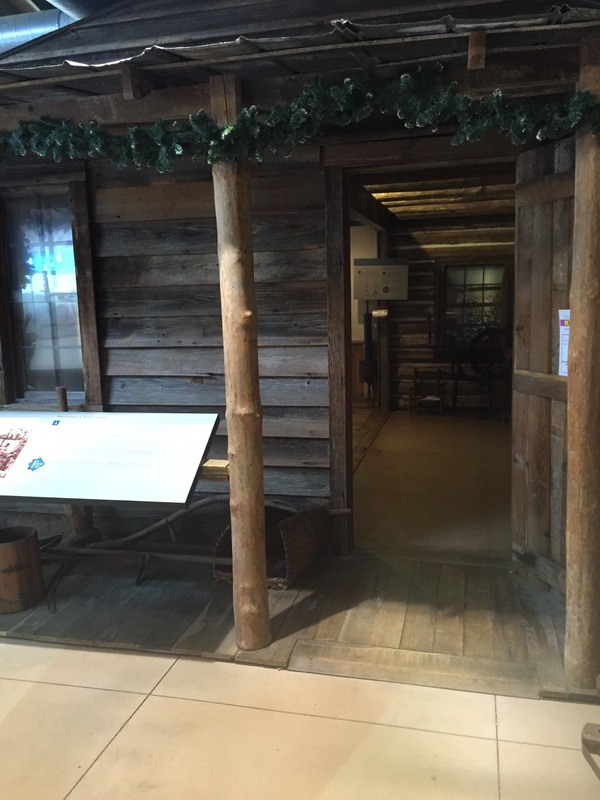 An old cabin inside the museum. They were decorating the main house so it want ready. We will have to go back this weekend! 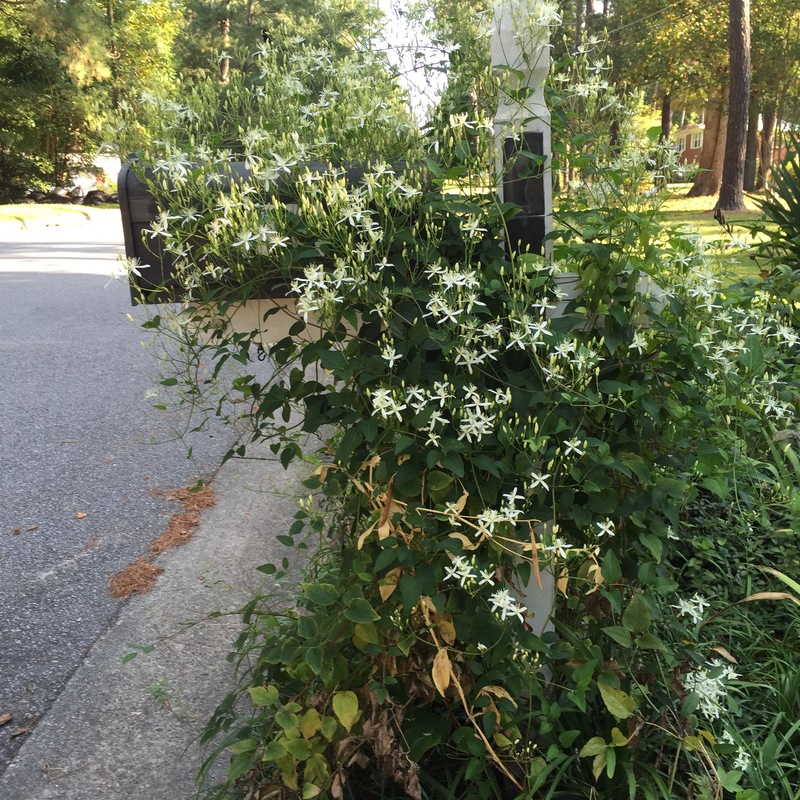 Pingback: Time for some serious pruning of the Autumn Clematis! | Arthur in the garden. Lovely. And I like autumn clematis, despite its prolific ways. I found it enormously invasive in my Chapel Hill garden. 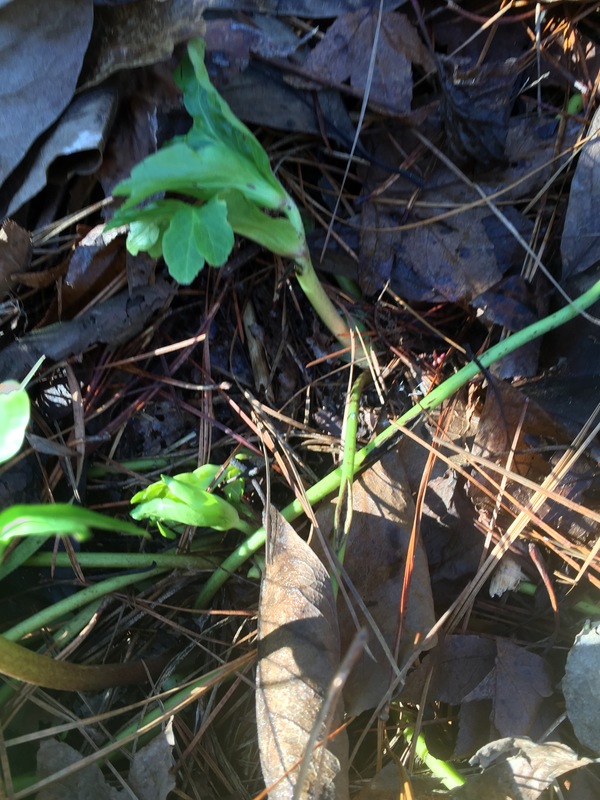 Hope you can keep the seedlings out of your clumping perennials. I could not. the lawn mower is my friend! Extreme cold almost killed my autumn clematis last winter and this year it didn’t have a bloom on it, but at least it lived. My clematis only bloomed once, so yours looks great. The farm looks like a good place to visit, it was good that it was saved.